When U.S. 36 opened as a toll road between Boulder and Denver in 1951, there were two lanes in each direction, and one interchange between the two cities. The state agreed to remove the tolls from the road once it was completed, which happened in 1968. Fast forward a few decades, and it looks like the state is ready to put new, very expensive tolls back on U.S. 36. Under a Democrat-crafted 2009 law, designed to circumvent TABOR, the conditions were set for public-private partnerships to take over maintenance and tolling on some of Colorado’s most heavily-used thoroughfares. This law, Funding Advancement for Surface Transportation and Economic Recovery Act, also known as FASTER, paved the way for a consortium of construction companies backed by Goldman Sachs called Plenary Roads Denver to toll express lanes on U.S. 36 all the way to Boulder. These lanes differ from traditional HOV lanes in that a driver will need at least three people in the car to qualify as an HOV, and avoid the toll. Many people are familiar with HOV lanes that just need two people per car. Additionally, these express lanes will be extremely expensive, with one way trips from Broomfiled to Denver costing as much as $7.75 if you have a special transponder in your car, and $13.83 for that same one way trip if you do not have the transponder. With a transponder, that’s a $15.50 per day commute, or over $300 per month to commute during the week. If you don’t have the transponder, it’s $553. It would seem Democrats are trying to disincentivize the middle class from driving to work even though Colorado is not New York City and driving is really about the only rational commute method. Let’s face it, taking a bus every day simply does not work for an overwhelming majority of Coloradans. If you have to leave the office during the day to meet clients, pick up supplies, attend meetings, or perform countless other tasks that are not confined within your employer’s four walls, it simply is not a convenient option. And the bus still does not alleviate the need for a car – how are suburban residents going to get from their homes to the bus station? Carpooling is even less realistic. Unless you punch a time card, and find others who do so at the same hours, who live near you and work near you, this is not going to happen either. We actually have it pretty good in Colorado as far as road tolls go. In some areas of the country, you can hardly get onto a highway without paying a toll. Everyone has a transponder glued to their windshield and is used to the idea of forking over several hundred per month in tolls. Under Democrat money grabs such as these so-called public-private partnerships, we may be headed there soon. When did the charges start? I just got a bill and didnt know it was officially open. You're leaving out a very important part on this. The tolled lanes are NEW lanes that are being built at the expense of these public private partnerships. CDOT is not paying for these additional lanes. 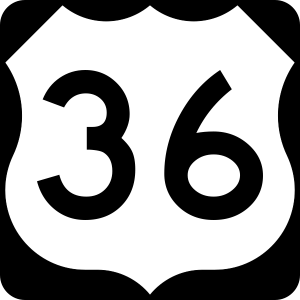 US 36 will still have the current existing lanes available for the traveling public at no cost. If you choose to not pay the toll then you simply drive in the general purpose lanes.